Our Black Sculptured Mink Fur Coat with Silver Fox Fur Collar is sure to create a special look for any occasion. 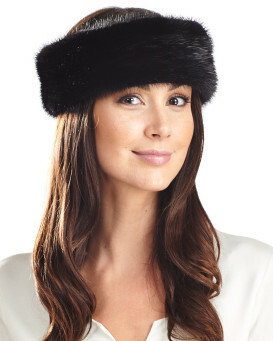 The silky soft Sculptured Mink sectioned body and large genuine luxurious Silver Fox Fur collar will have you looking amazing all season long. One hidden fastener at the neck and four hidden snap clip front fasteners secure this coat closed at the front. 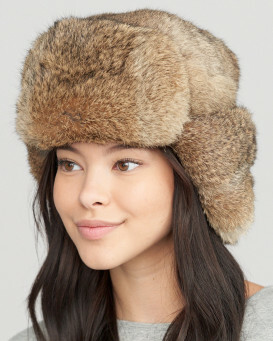 "I have ordered several items from Fur Hat World, and have never been displeased with either the product nor delivery time. The purchase of the Renee Sculptured Mink Coat was no exception. I ordered the coat in October 2016 as a Christmas gift for my wife, it arrived in plenty of time. My wife absolutely loves this coat... and I absolutely loved this Christmas!!" "The coat was delivered within the time it was promised and my wife loves it. I believe I'll be ordering from this company again in the future!" "This was a really nice coat. However, even though my wife really liked it was too small and had to be returned. People who order this should think about ordering one size larger." "The coat is beautiful and my wife was so pleased! The price seemed quite reasonable. It was a big hit...I scored lots of points." "A beautiful coat that would please most anyone who wore it. My only regret is that it didn't come in XL size"
"Coat great Ordered for Christmas well in time but did not receive until Middle of January"
"Luckily I measured my wife and used the sizing chart and it fit perfectly. ( the measuring process only increased her curiosity!!!) In my wife's words " Its gorgeous, beautiful and awesome". Enough said!"